Route from Tasso Square to Friends of Sorrento, 9 Via Capo. Follow Corso Italia past the Cathedral and continue on the right side of the road until the road junction. 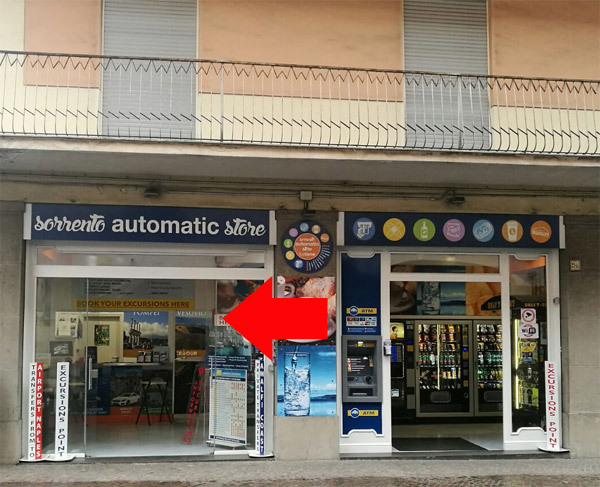 Continue along Via Capo until you reach the “Sorrento Automatic Store” (Blue Sign) which is opposite the Ascot Hotel.